Shirley Ann Davis Folds of Bremen passed away Tuesday, September 11, 2018 in a local hospital. She was born in Temple, May 21, 1937, daughter of the late Clifford Lee Davis and Ruby Inez Carden Davis. 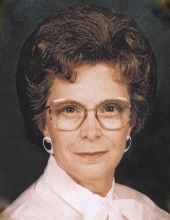 Shirley was a retired employee of Sewell Manufacturing Company and a member of the Bethlehem United Methodist Church. In addition to her parents, she was preceded in death by her husband, Billie Jean Folds; a daughter, Lynn Turner; a step-son, Billy Randall ‘Randy’ Folds; three sisters, Carolyn Wingo, Martha Nell Parker, Frances Parker and four brothers, Leon Davis, Charles Davis, C. L. ‘Buster’ Davis and Walter ‘Mack’ Davis. Survivors include a son, Chester ‘Gene’ Folds of Bremen; a daughter, Alicia Smith of Atlanta; three sisters, Grace and Ronnie Richardson of Bowdon, Marie Reeves of Rome, Evelyn and James Hicks of Buchanan and a brother, Jack and Judy Davis of Tallapoosa and four grandchildren. The family will receive friends at the funeral home Friday, September 14 from 9:00 until 11:00 AM. Services will be Friday, September 14 at 11:00 AM from the chapel of Hightower Funeral Home with Reverend Duane McManus officiating. Josh Newman, Keith Parrish, Bill Hightower, A. W. McLendon and Duane McManus will serve as pallbearers. Interment will follow in Forest Lawn Memorial Park. To plant a tree in memory of Shirley Davis Folds, please visit our Tribute Store. "Email Address" would like to share the life celebration of Shirley Davis Folds. Click on the "link" to go to share a favorite memory or leave a condolence message for the family.